We see a lot of people at Marina Plastic Surgery with blotchy skin. It has many causes – sun exposure is fairly common, as is age. If you want to combat blotchy skin without using tons of makeup, I have some suggestions. 1) Limelight/IPL/Photofacial — These treatments diminish red blotches and red capillaries on the face (especially around the nose) and help with brown spots and irregular skin tone. Done in our office in just a few treatments of about 20 minutes each, you can vastly improve blotchiness and often make makeup an option, not a necessity. 2) Try products like IS Clinical Pro-Heal combine vitamins, anti-oxidants, olive leaf extract and arbutin (to name a few ingredients) to repair the skin, build collagen, soothe the skin and diminish redness and blotchiness. 3) Always wear sunscreen year round. It helps keep the blotches from getting worse and prevents damage to your skin. Getting a tan or using a tanning booth does not blend the blotches together. In fact, it worsens them. 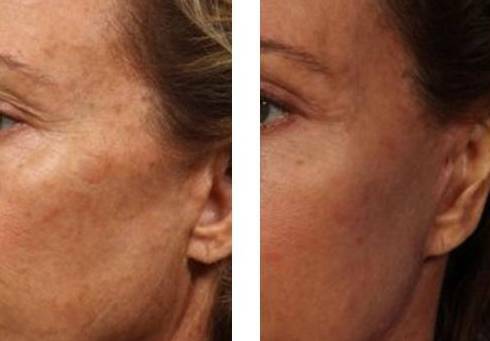 There are no treatments that are cures and solve blotchy skin forever. Instead, they treat the problem, but require maintenance, so expect to do periodic treatments and use products regularly. This is a great time to get rid of blotchy skin before all the holiday parties. Are you in?